Wall Street stocks retreated in early trading on Tuesday as disappointing results from Netflix weighed on large technology shares. About 20 minutes into trading, the Dow Jones Industrial Average was down 0.2% at 25 022.74. 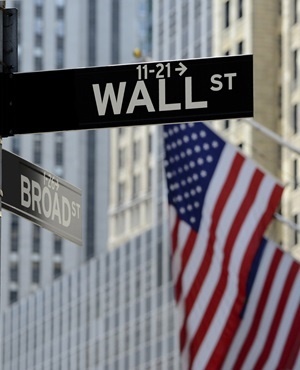 The broad-based S&P 500 dipped 0.2% to 2 794.05, while the tech-rich Nasdaq Composite Index dropped 0.3% to 7 782.55. Investors hammered Netflix after the streaming service said membership grew 5.2 million to 130 million, a million shy of what the company had forecast. Shares sank 11.6%. Other technology companies also fell, including Apple, Facebook and Google's parent, Alphabet. Other companies reporting earnings had a mixed performance on Wall Street, with UnitedHealth Group slumping 3.4% and Johnson & Johnson winning 3.7%. Goldman Sachs dropped 1.3% after reporting a 44% jump in second-quarter earnings to $2.3bn and announcing that David Solomon would succeed Lloyd Blankfein as chief executive. Markets are looking ahead to testimony later on Tuesday from Federal Reserve chairperson Jerome Powell that is expected to offer an update on the outlook for future interest rate hikes and the risks of a trade war to the broader economic performance.